Kataragamam temple in Kataragama, Sri Lanka, is a temple complex dedicated to Buddhist guardian deity Kataragama deviyo and Hindu War God Murugan. 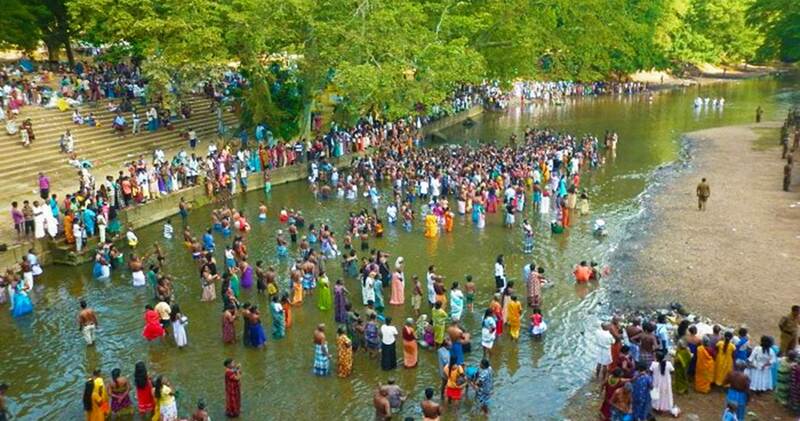 It is one of the few religious sites in Sri Lanka that is venerated by the Buddhists, Hindus, Muslims and the Vedda people. For most of the past millennia, it was a jungle shrine very difficult to access; today it is accessible by an all-weather road. The shrines and the nearby Kiri Vehera are managed by Buddhists, the shrines dedicated to Teyvāṉai and Shiva are managed by Hindus and the mosque by Muslims. 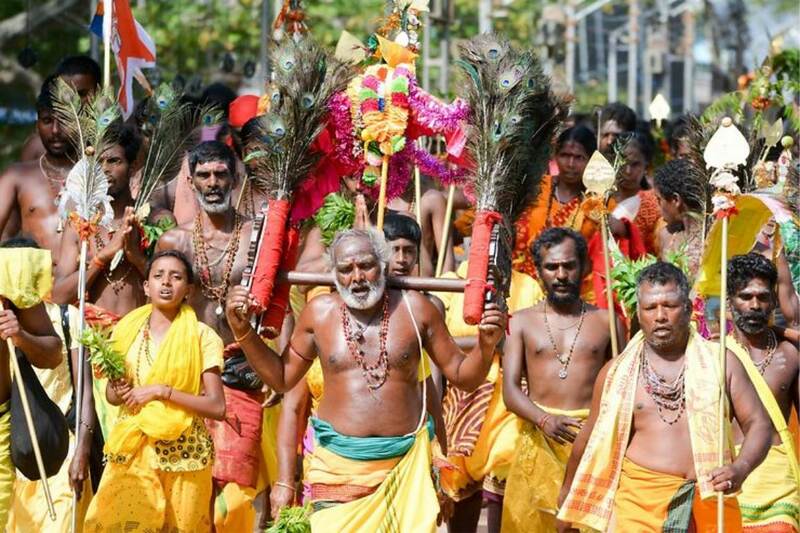 Up until the 1940s a majority of the pilgrims were Tamil Hindus from Sri Lanka and South India who undertook an arduous padayatra or “pilgrimage on foot”. 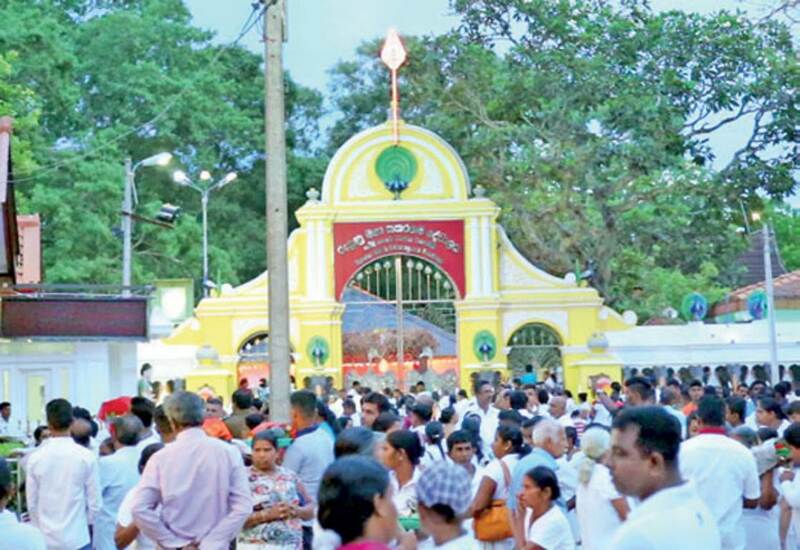 Since then most pilgrims tend to be Sinhala Buddhists and the cult of Kataragama deviyo has become the most popular amongst the Sinhalese people. A number of legends and myths are associated with the deity and the location, differing by religion, ethnic affiliation and time. These legends are changing with the deity’s burgeoning popularity with Buddhists, as the Buddhist ritual specialists and clergy try to accommodate the deity within Buddhist ideals of nontheism. With the change in devotees, the mode of worship and festivals has changed from that of Hindu orientation to one that accommodates Buddhist rituals and theology. It is difficult to reconstruct the factual history of the place and the reason for its popularity amongst Sri Lankans and Indians based on legends and available archeological and literary evidence alone, although the place seems to have a venerable history. The lack of clear historic records and resultant legends and myths fuel the conflict between Buddhists and Hindus as to the ownership and the mode of worship at Kataragama. 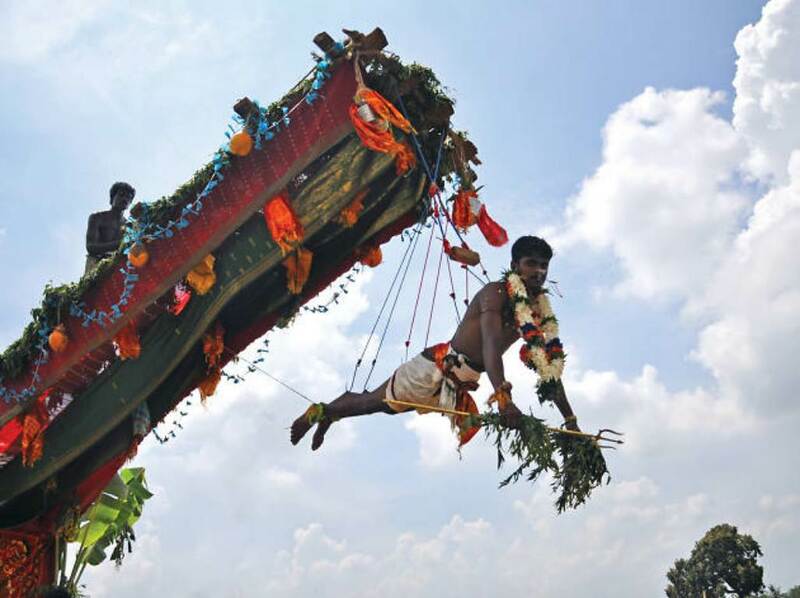 The priests of the temple are known as Kapuralas and are believed to be descended from Vedda people. Veddas, too, have a claim on the temple, a nearby mountain peak and locality through a number of legends. There is a mosque and a few tombs of Muslim pious men buried nearby. The temple complex is also connected to other similar temples in Eastern Province dedicated to Murugan which are along the path of pilgrimage from Jaffna in the north to Kataragama in the south of the island; Arunagirinathar traversed this pilgrimage route in the 15th century. The vicinity of the temple complex is used for secretive practices of sorcery and cursing peculiar to Sri Lanka. The entire temple complex was declared a holy place by the government of Sri Lanka in the 1950s; since then political leaders have contributed for its maintenance and upkeep.